I told you back in July that I was chosen to be a Maytag Kitchen Mom and would be getting a kitchen appliance makeover courtesy of Maytag! 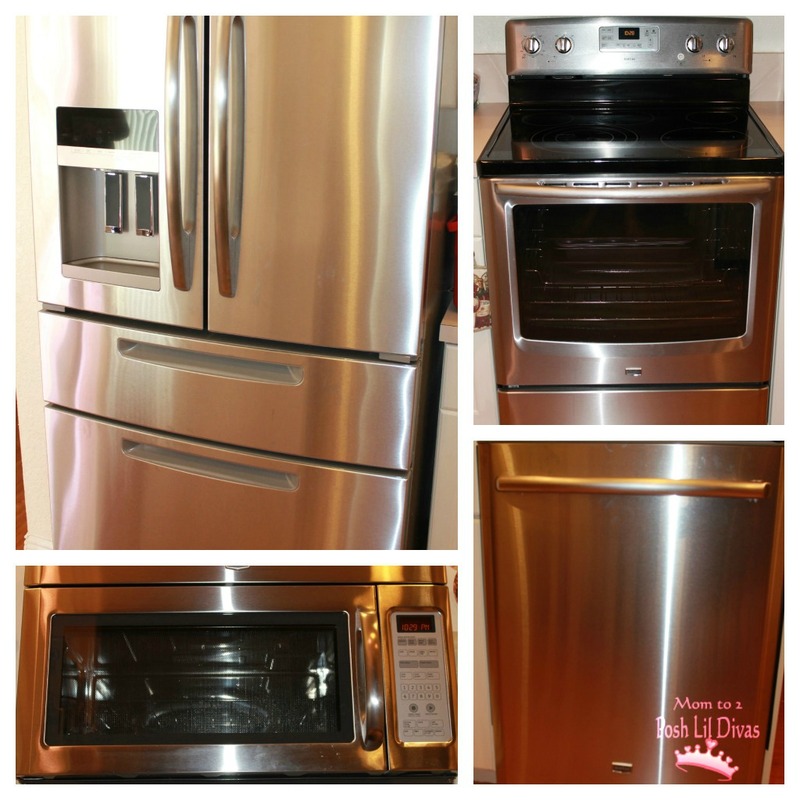 Well, if you follow me on Twitter or Facebook then you know our appliances arrived last month and I have been spending some time getting familiar with my new kitchen. 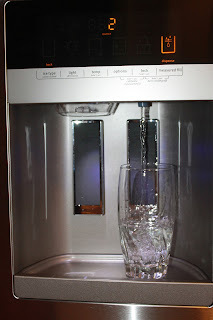 These appliances have completely changed my kitchen. I wish I had a "before" picture but I forgot to take one before delivery day and I never really took pictures of my kitchen, it was by far my least favorite room in the house. 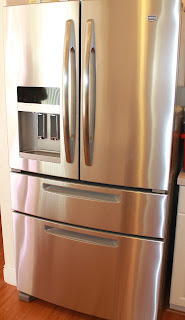 It had all standard appliances from when we purchased our home - everything was a bland cream color and base models because we couldn't afford any upgrades at the time. I had been wanting a new kitchen for years, but the last 2 years were especially hard. My kitchen appliances had so may problems that it was actually becoming increasingly difficult to use them. My microwave had buttons that didn't work so you could never just set it and leave it. I battled with those buttons countless times for each use - it was ridiculous. My new over the range microwave with stainless steel interior has been a dream come true. Not only does it look great but I can heat things up while not babysitting the appliance. What a timesaver! It has lots of really neat features that my old microwave did not have, making it doubly impressive. 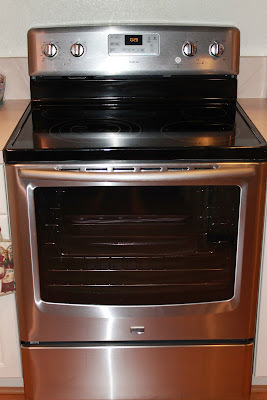 It has a large rectangular tray inside for heating up food that goes in an up and down motion versus round and round. I love that more things fit versus circular plates. The microwave also has various power levels as well as frozen food and kids meal options that make cooking/heating up things in it so easy. The 6.2 cu. ft. capacity electric range has loads of space. It has even air convection which means consistent temperatures and uniform cooking. It's easy to clean (so important!) and has different temperature and stove top settings which I love. My old dishwasher had literally become our drying rack. We couldn't use it. 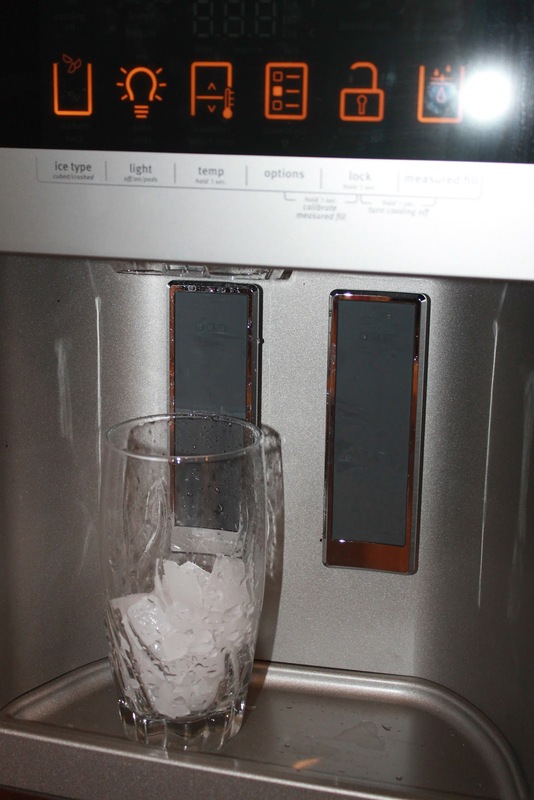 I so love how much time the new Jetclean Plus Dishwasher saves me. With its high pressure spray jets and steam clean, our dishes are completely clean, spot free and sanitized. What's not to love? I am enjoying spending a lot less time washing dishes. 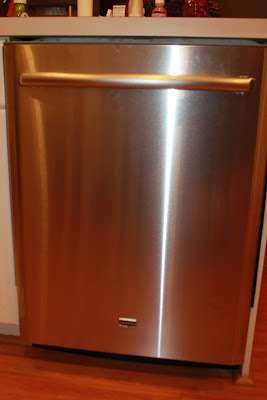 My favorite appliance by far though is the Ice20 French Door Refrigerator with easy access drawer. This is a huge upgrade from our old refrigerator and we are all over the moon with it. The Lil Divas are happy with the easy access drawer. It's the perfect place to put our fruits and snacks providing easy access for little hands. It has so many features we never had before. Not only can we get ice and water super easily but you can also keep track of how much is dispensed when you use the measured fill option. This is great for kids too. No spills, Yay! It has light features and so many buttons and options that it looks like a mini computer on our refrigerator. I am so happy with it. Did I mention it's roomy? With my old refrigerator large bottles never fit unless I laid them down, talk about spills and lack of space. 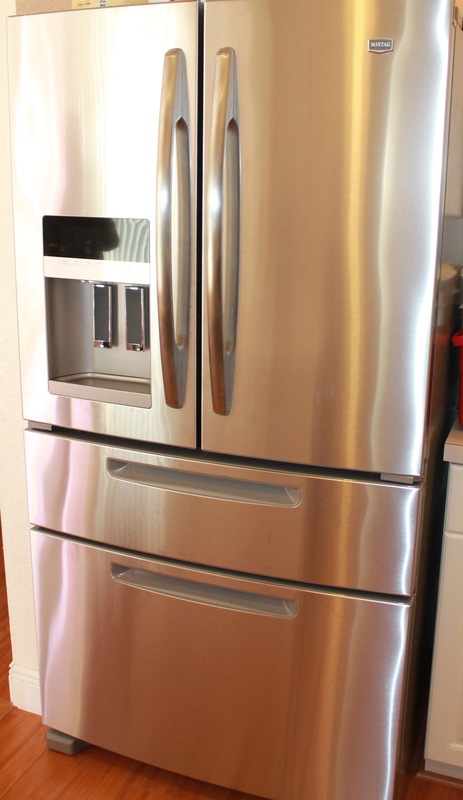 With my Maytag refrigerator, we have tons of room and everything fits great from large to small items. How did I ever live without this before? Honestly, this refrigerator is by far my favorite of all the new appliances. What I am most excited about is that not only do all the kitchen appliances look and work great but they have the added value of being from a trusted American brand which means they can be depended on for performance. 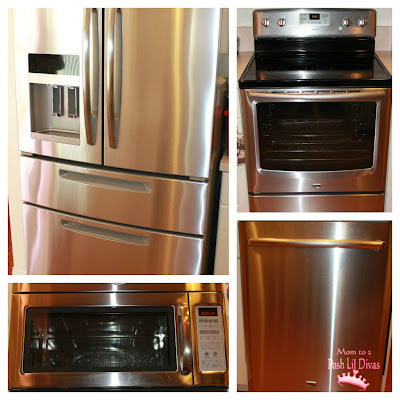 So far, I am beyond pleased with my new kitchen and I look forward to sharing more of our experiences with you as my Maytag Mom journey continues. For more info on Maytag be sure to check them out on Facebook and Twitter. You can also follow our Maytag Moms journey by checking out all our posts on twitter via hashtag #MaytagMoms. Disclosure: I wrote this post participating in an Maytag Moms Dependable Kitchen Ambassador program by Mom Central Consulting on behalf of Maytag. I was provided with a Maytag kitchen appliances set, including a refrigerator, microwave, dishwasher, and range to facilitate my posts. Wow! I am so jealous. Our kitchen isn't in as bad of shape as yours was, but, oh, the stainless steel. Gorgeous! Okay, maybe that was a little SAD, but I had been in the same boat as you were and I wanted to CRY, I was so happy!!! 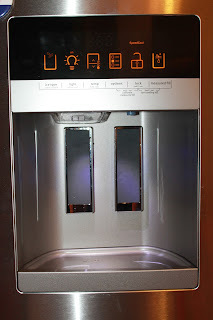 I fell in love with your kitchen appliances specially the design of refrigerator. Loved it all, the flex drawer, the adjustable shelves, etc. Nothing else could compare. thanks Megan. I LOVE the look of the stainless steel. Love your new kitchen Bern. So exciting!!! Great products and they look fabulous! 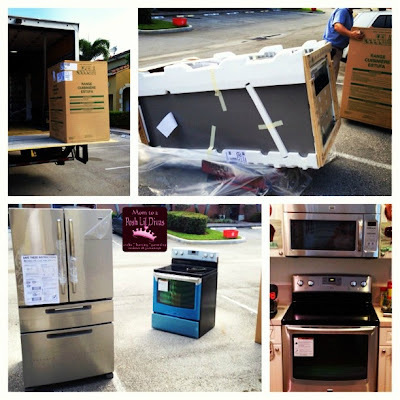 Good move getting a new set of appliances for your kitchen. Those particular models you got look pretty nifty too, especially that refrigerator; it has a lot of much-needed additional features that can be helpful in anyone's kitchen. You did a good job in renovating your kitchen. I just wish I can also find the perfect appliances for my new kitchen. It’s a total kitchen makeover; you did a good job in choosing and putting your appliances in your kitchen. I just hope I could also find good appliances for my kitchen.